How do you design great digital experiences in the context of food and drink? By keeping the hungry user in mind. In this post, Ben Strak shares 5 design principles he has learned from leading the UX practice at the London-based restaurant app nez. Nowadays, UX stretches across virtually every industry, including rather a tasty one: food. I lead the UX practice at a food and drink startup in London called nez. We show our users local food and drink offers on a smartphone app. Today, I want to share a few of the things we have learned about how to design great digital experiences in the context of food and drink. Talk about food the way your users do. Language is at the heart of a well-designed interface and the food and drink industry is no exception. Poorly chosen words or phrases can lead users to get stuck or develop an incorrect mental model of your product or service. A better UX leads to more satisfied employees, fewer mistakes, reduced support requirements and, ultimately, more revenue. 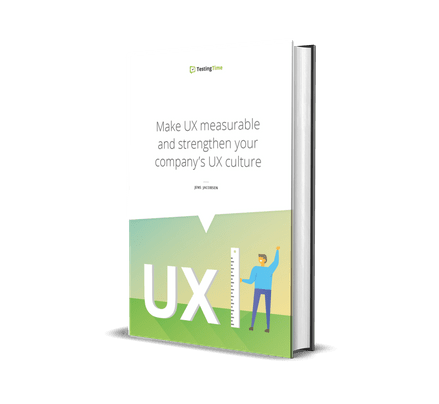 This guide teaches you how to demonstrate the value of your work and strengthen your company’s UX culture. Words also have an emotional impact, they have the power to whet someones’ appetite or provoke revulsion at a turn. Robotic or technical-sounding copy, for example, might literally put someone off their food. This is especially true for search and filtering. Take time to understand how your users talk about and categorize foods and drinks. This might not just be in obvious ways like cuisine or delivery time. Less tangible categories – like whether the users are feeling in the mood for something ‘healthy’ or ‘naughty’ – are possible, too. It should be obvious that you design a product with the user in mind. But human-centred design or HCD is especially important when it comes to food and drink. The emotional context for design here is hunger and thirst. These primal emotions can be a powerful foundation for a memorable experience. Think carefully about where you place photographs of food and drink in the interface. And mull over what kind of photography you choose. Is the user looking for inspiration and excitement? Or rather for detailed information? In addition, user needs will change as users journey further down the funnel toward a purchase. Maintaining their excitement whilst keeping up with their expectations for greater detail as they converge on a decision is critical. Hick’s Law predicts that the time and the effort it takes to make a decision increases with the number of options. Design for quick decisions. Buying lunch is not like buying a house. 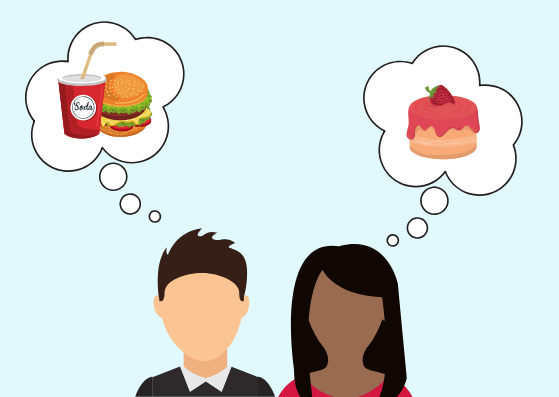 Making a decision about what food to eat is not likely something your users will want to think about for much longer than five minutes. Therefore, understanding what the most important pieces of information are is really important. 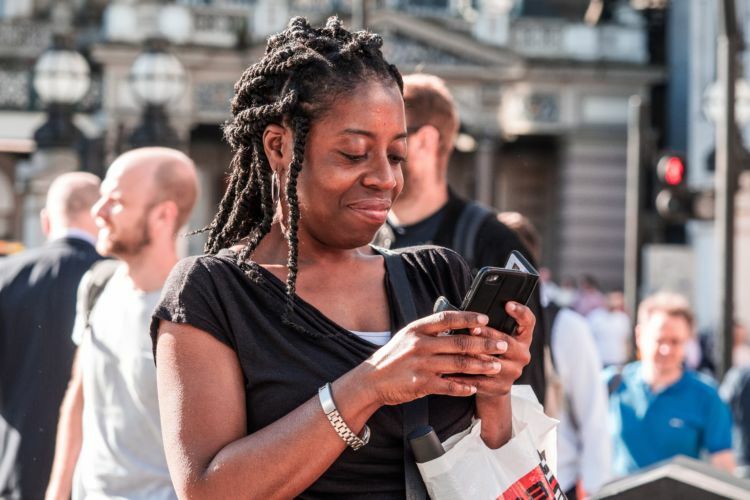 What are the minimum requirements for the user to be able to make a decision? Define essentials like waiting time and walking distance and structure the interface’s visual hierarchy around them. As always, the more you can minimise both the length of the journey and the amount of navigation that is required, the more grateful your hungry users will be. If you make a meal of finding a meal, your users will wonder whether it’s worth all the extra effort. Food is an experience. But don’t think that your role as a designer is over as soon as your users have made a decision about what to have. In fact, the experience is just beginning. Designers should ask themselves the question about what opportunities for delight there might be in the period when the food or drink is being enjoyed and after. 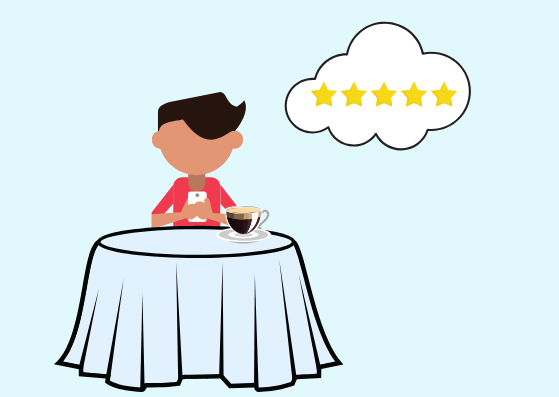 More often than not, users will be more than happy to leave a quick review for example. This shows them that you are taking an interest in how their lunch went. And it lets them feel they can help other diners find a great meal. Last but not least, bear in mind that the kinds of food people eat and how they eat them can vary widely. Even within a small group of people! Nowadays, there is greater visibility than ever of those following specific diets. On the one hand, this can have medical reasons like gluten or dairy intolerance or a nut allergy. On the other hand, a specific diet can be due to a lifestyle choice such as vegetarianism or veganism. So it’s essential for you to consider the experience of your product from the point of view of all these groups. How does your app look from the point of view of a vegan for example? Or someone with a serious nut allergy? The great thing is improvements you design for users with more specific requirements often go on to benefit everybody else, too. Ben adores projects aimed at improving cities’ liveability through technology. That is why he recently joined nez, a startup using Bluetooth beacons to help people discover the best places to eat and drink in London. For more information, please visit benjaminstrak.co.uk.